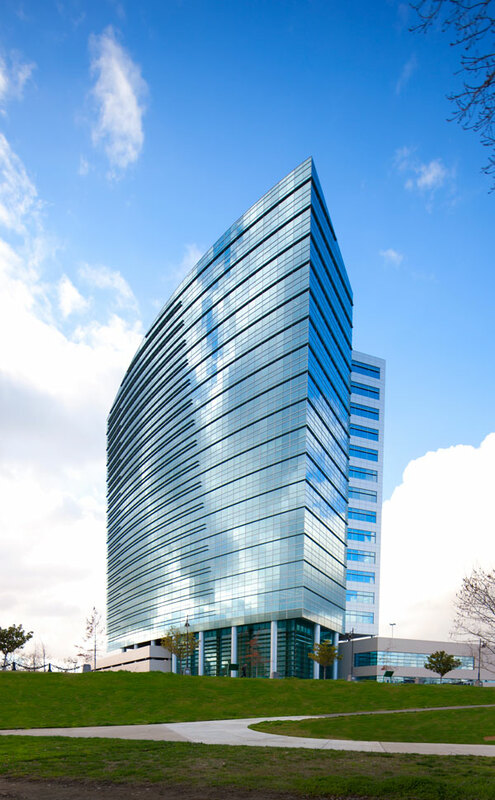 Client: CalSTRS. 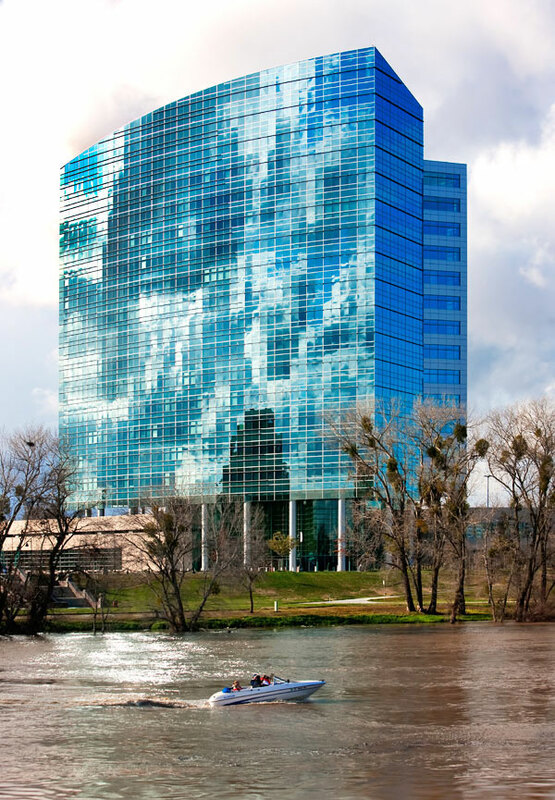 Calstrs; on the Sacramento river is a reflective building that comes alive with clouds and different kinds of light. Shot in May with no clouds. Reflective building come alive when you have clouds. The only draw back is when you have these great clouds the water becomes muddy in the winter time. The best scenario would be to shoot this in the spring when the leaves are changing colors and you get one of those days with dramatic clouds. Keep watching, I not done, still looking for that one shot, that takes your breath away.